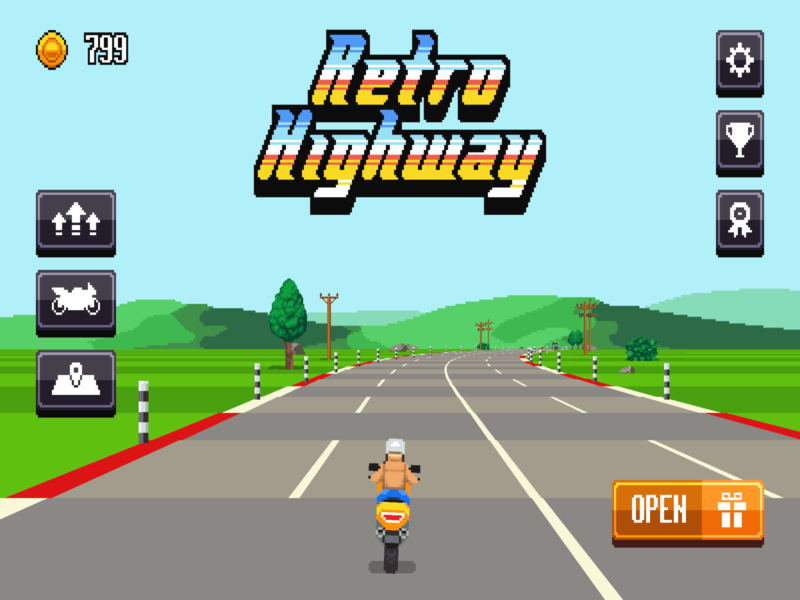 Is Retro Highway Worth Your Time? A magnificent high score game this is great in small doses to relax with. 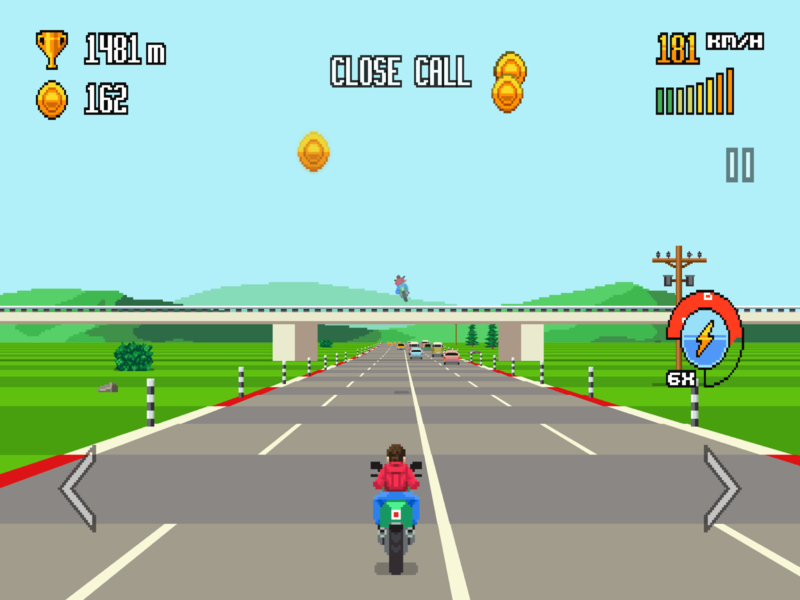 Retro Highway is a really fun endless high score racing game that manages to feel like the retro arcade games I grew up with mixed in with a dash of modern mobile masterpieces. Retro Highway is a barebones, simple as heck endless racing game that pretty much nails everything. From its retro art style and music to its fun gameplay, Retro Highway really shows off how much the developers cared about it. The gameplay gets better the more you play thanks to upgrades. Upgrades are doable for the most part without buying in, but the gameplay is so good, that I found myself wanting to buy out of ads and get coins. There are video ads that don’t come too often, but when they do, I find myself actually wanting to buy out of ads so I can focus on the game without interruptions. Yes, this game is so much fun that I want to buy in and support the developers. Retro Highway is so much fun that it’s become my time waster in-between everyday activities at home. I dare not have this on my phone or I wouldn’t be able to adult. The in-app purchases to buy out of ads are pretty cheap as well as the large coin package to pretty much by most of what you want in-game. 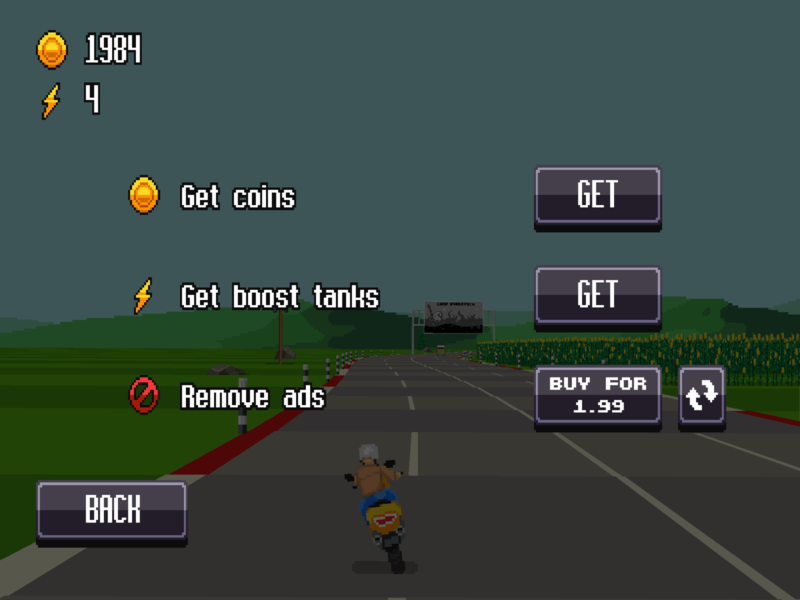 So far, leveling up my bonus items is a bit pricey, but not hell and the same goes for unlocking new bikes. I love that I can actually feel the difference upgraded bikes make in control the experience. What makes this work is Retro Highways enjoyable gameplay. This is just so fun to sit back and relax with that honestly, I am not tracking my money income at all. Even if I stayed with the base bike and had no other upgrades, I’d still love this game. That said, there is one thing that really bugs me about Retro Highway: the Nitro boost. It’s just not fun to use. It makes the game to fast and is basically worthless. Maybe with better bikes down the line, it’s useful, but for me, it’s not and I just play as if it doesn’t exist. This is a fun Freemium game that I cannot help but come back to several times a night when I am home relaxing. It has just enough randomness to keep me on my toes without feeling cheap. The gameplay is relaxing as well as addicting. It nails the retro, it nails the highway feel and it nails my recommendation.